SAN FRANCISCO (CN) – The U.S. government may have ignored scientific evidence that the rat poison used to protect illegal marijuana farms is killing the weasel-like Pacific fisher when it decided not to designate the animal for legal protection, a federal judge suggested Wednesday. Wednesday’s hearing was meant to hash out the scientific research the Fish and Wildlife Service relied upon when it concluded in April 2016 that the Pacific fisher didn’t warrant protection as a threatened species under the Endangered Species Act. In a hearing on motions for summary judgment last month, Alsup suggested Fish and Wildlife may have relied on biased information from the forest industry when the agency decided to withdraw a proposed rule to list the Pacific fisher as threatened. A coalition of environmental groups sued Fish and Wildlife in October 2016, saying the service abruptly changed its mind about protecting the animal after it received “new information” from forest industry groups. 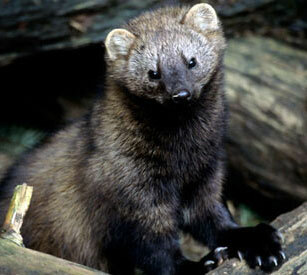 Pacific fishers are fierce members of the weasel family with thick, dark coats and long, bushy tails. Once found in the mixed conifer forests along the West Coast and the Cascade Mountains of Canada, the Pacific fisher’s numbers have sharply declined due to deforestation, logging, poisoning and fur trapping. Only two small populations remain – one in the southern Sierra Nevada, the other in the Klamath-Siskiyou region of Northern California and Oregon. According to Fish and Wildlife estimates, the California/Oregon population ranges in size from 258 to 4,018, and the Sierra Nevada population numbers 100 to 500. On Wednesday, Earthjustice attorney Elizabeth Forsyth said Fish and Wildlife failed to explain when it withdrew the rule why the increasing use of rat poison was no longer a threat to the Pacific fisher, despite concluding in a 2014 draft rule that it was. According to the environmentalists, a 2015 study by fisher biologist Mark Higley found nearly 19 percent of fishers died between 2007 and 2014 from eating rat poison, an increase of nine percent. Meanwhile, 85 percent of dead fishers – no matter what caused their deaths – had rat poison in their bodies. Exposure to rat poison makes fishers lethargic and causes internal bleeding, Forsyth said. This in turn increases their susceptibility to predators, accounting for 70 percent of fisher deaths. After 14 years of what the environmental groups call “illegal foot dragging” and legal challenges, Fish and Wildlife published a proposed rule in October 2014 to list the Pacific fisher as threatened. But the agency withdrew the rule four months before finalizing it, relying on new studies it says show the risk of rat poison, wildfires and population size no longer justify extra protections for the animal. The new studies found low-to-medium-severity wildfires can benefit Pacific fishers by creating new foraging opportunities and snags used for dens and breeding. Fish and Wildlife also concluded future wildfires will continue at a rate and severity similar to the recent past. But the environmental groups argue that flies in the face of clear evidence that climate change has sparked an uptick in the frequency and intensity of California wildfires. Justice Department attorney Nicole Smith told Alsup that Fish and Wildlife incorporated the 2015 Higley study into its 2014 analysis, which changed the agency’s conclusions. Although the rate of exposure to poison in the Higley study grew by nine percent, mortality due to poisoning remained low, Smith explained, with an average mortality rate from poisoning of less than two fisher deaths per year. But Forsyth said Ninth Circuit precedent set down in 2011’s Greater Yellowstone Coalition v. Christopher Servheen states that Fish and Wildlife must explain why uncertainty justifies its conclusions. “It’s not enough for the Service to say it’s not sure how this is going to play out when there is overwhelming evidence” that rat poisons are a threat to fisher survival, she said. Alsup did not indicate when he will rule.